Get something for Mother's Day this weekend! 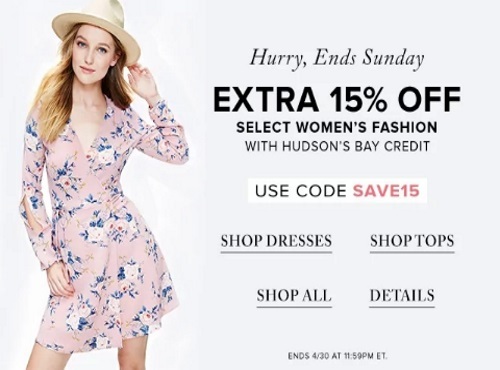 Hudson's Bay is offering an extra 15% off Women's fashion when you pay using your Hudson's Bay credit! Enter the promo code SAVE15 at checkout to get the discount. Offer ends Sunday, April 30 at 11:59pm ET.